On the hunt for priceless treasures, groups of adventurers explore the legendary temple at Luxor. Their ultimate goal is the tomb of the pharaoh! Nominated for the 2018 Spiel des Jahres, Luxor is a board game of treasure hunting, exploration, and hand management. Players move through the tomb by playing either the left or rightmost cards from their hand thus having the ability to plan ahead - land on treasure tiles and collect them, or use tricks and shortcuts to navigate deeper into the tomb - and don't forget the key! 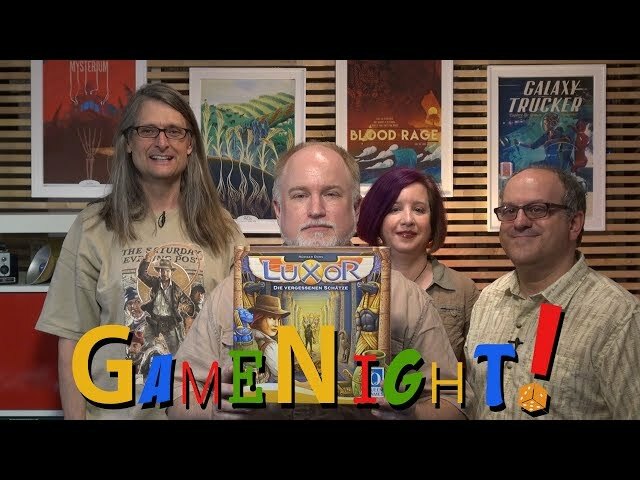 Buy Luxor for a game of exploration, planning, and set collection set in the legendary tombs of Egypt.